Ready to get a grip on the sugar, reset your body and feel comfortable in your skin? GRAB YOUR DETOX PACKAGE NOW! DOWNLOAD INSTANTLY AND GET STARTED! Detox Prep Guide. 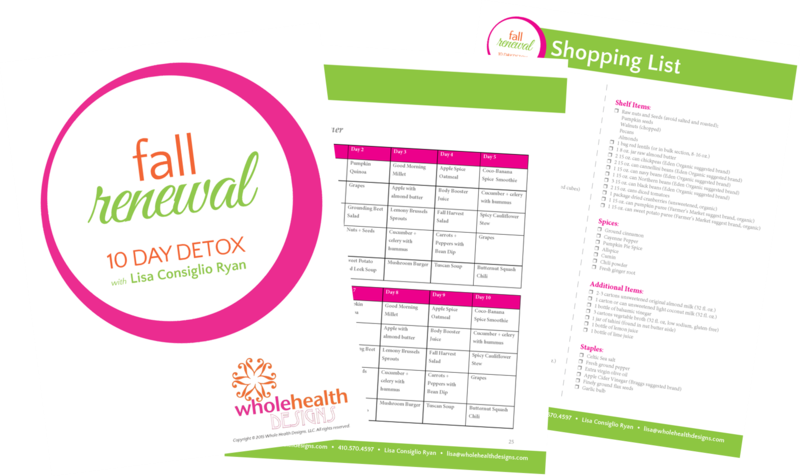 As soon as you sign up, you’ll receive a packet explaining how to prepare for your detox. Pre-cleansing instructions and daily detox practices are included. You’ll also receive delicious pre-detox recipes so you can get a jump-start on your cleanse. That way, on Day 1, you’ll be familiar with how things work, and ready to rock Fall Renewal. LIVE kick-off coaching call to get you prepared for your detox adventure. 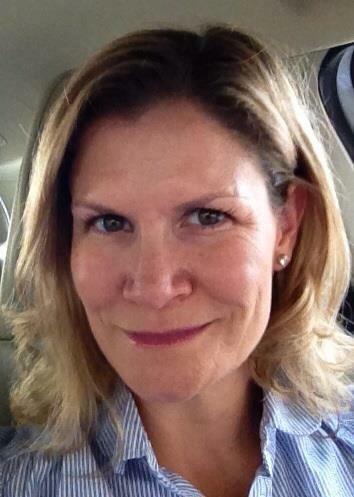 During the call, I’ll go over cleanse details plus answer questions about Fall Renewal. Daily email check-ins and unlimited daily support. I’ll email you a video each day, which will keep you motivated and inspired. Plus, if you have a private question, you can email me anytime during the cleanse. You have access to my full coaching 24/7 for 10 whole days! Guest experts in fitness, yoga, meditation, beauty, etc… will be joining us for the cleanse. Detox isn’t about just food; it’s the whole experience of finding balance and what works best for you. Enjoy videos, special handouts and more from our mad-talented guests. Shopping Resource Guide. Never heard of quinoa or tahini? No worries! I put together an Amazon store for you so you can see what products I recommend. Need to save time? You can even order all your detox goodies online. Return to Life Instruction Packet. So what do you do after Day 10? This step-by-step system will help you slowly re-introduce eliminated foods like caffeine, sugar, etc… back into your diet without shocking your body. A personal post-detox checklist also helps you organize the foods and practices that you will keep in your diet and life. Fall Recipe Cookbook with 25 smoothie, soup, and salad recipes for you to make after your detox. These recipes are clean, so you can ease back into “real life” while still feeling light and maintaining your glow. You’ll receive this bonus on Day 10. Lisa’s 10-day detox plan is so easy: the hardest part is deciding to do it. She gives you everything you need: from a super-simple menu planner (complete with shopping list and easy-to-follow recipes) to loads of supportive love. After 10 days, you’ll have more energy, clarity, and a strong sense of self and purpose, not to mention glowing skin, radiant hair, and looser clothes! I love the way I felt by Day 6: lighter, clear-headed, full of energy and just really, really good. The food is really good, and many of the recipes have become staples of my weekly cooking. Best of all, they are all EASY and QUICK! And, it’s just real, wholesome food; nothing fancy or weird – just fruits, vegetables, grains, beans and nuts. It’s so simple and tasty! My body ‘fits’ again and feels good and I am keeping the momentum going even after detox. I can’t think of a single recipe from the detox that I don’t like! The meals are easy to make and very grab-n-go. Since I travel a lot for work, the detox fit into my life perfectly. My face is happy with less breakouts, too! I have found many gluten free alternatives to the things I love and have been enjoying them in moderation. I think it is the path of the future for me! I’ve picked up some great habits these last 10 days and plan to implement a lot of these recipes in my daily diet. Don’t worry, I’m not talking about the pills-and-powder-drink-nothing-but-lemon-juice deprivation detoxes that make you feel like you want to die! This is a detox with a difference – where you actually EAT real food and take exquisite care of yourself! It’ll help you discover what does and doesn’t work for you as a unique individual. Eventually, you’ll learn how to let your body guide the way, and realize that you already have all the answers you need within you. I’ll guide you EVERY step of the way until you’ve learned to connect with your own body’s wisdom. I take ALL of the decision-making out of the equation for you, the whole way through the program. You won’t need to worry about which ingredients to buy, how to prepare them, or how to cook them, because I’ll lay it all out for you at the beginning. That means you can just concentrate on eating delicious food, and taking care of yourself. You’ll receive a confirmation email from me to listen to the recorded kick-Off call, instructions for joining the private community, and your Detox Prep Guide to get you excited and ready. 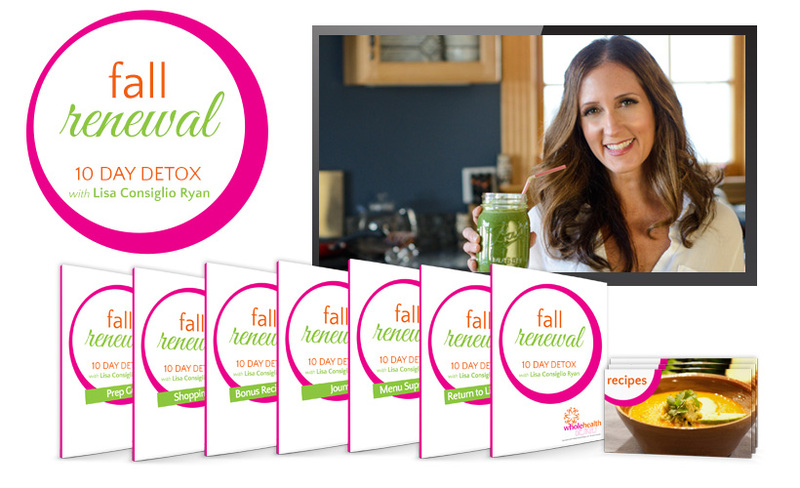 All Fall Renewal 10 Day Detox materials will be provided instantly when you sign up. Download your menu plan, recipes, and shopping list plus all Bonuses immediately so you an get started a.s.a.p. Before I started Fall Renewal, my diet was affecting my entire digestive system, from GERD to IBS. I was about 20 pounds overweight. This detox, as with the other two WHD detoxes I’ve done, forced me to slow down and really think about the food I put in my body. From making my grocery list, to shopping, to preparing my meals and snacks, to eating them – every step of the way I slowed down to think about what I was putting in my body and how it made me feel. The meal plans, recipes, and shopping lists made it so much easier to just focus on clean healthy eating, and the recipes are very tasty and easy to prepare! During the detox, I felt better, stronger, and more energized with each passing day. After day 2 or 3, I experienced more energy, better sleep, and better bowel habits. Feeling my clothes fit better and seeing my weight go down was a nice benefit! I realized what my body has been trying to tell me for months and months: “pay attention to me, I’ll tell you what I need.” I just needed to take the time to listen. Doctor’s visits, blood work, and tests didn’t tell me a whole lot about my physical ills (other than labeling it as IBS), but eating clean taught me volumes. I’d slowly put on weight and after losing and keeping 5lbs off in the spring, and I was wanting to see if I could kick start my body into losing a bit more. I really REALLY want to feel comfortable in my favorite jeans again. I was also really craving sugar hard and could not get it under control. For me, the hardest part of clean eating is planning. I loved the shopping lists, meal plan, and the fact that it was flexible enough that I could switch out snacks and meals to suit what I was in the mood to eat. I was spending more time in the kitchen throughout the day but it actually felt much easier and less stressful because I had a plan. It was much easier to keep on top of and follow than I’d anticipated. There is also plenty of support and enthusiasm through Lisa and the group that it really feels like more of a treat than a chore! On the cleanse, I never got any nausea or tiredness and I generally felt really good! I was also surprised on day 1 that I felt full all day. I’d expected I’d be a little hangry… not so! Q: Who are you and what qualifies you to run Fall Renewal Detox? 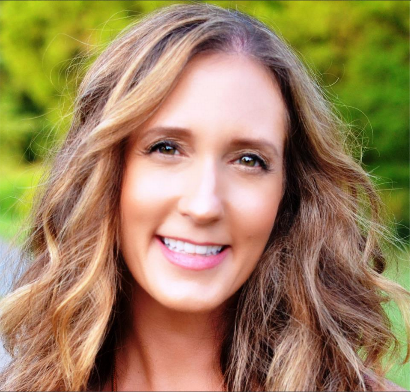 Hi there, I’m Lisa Consiglio Ryan – and for most of my adult life I struggled to find “the perfect formula” to keep me skinny and healthy. Nothing worked though. I’d start off well, and then a few weeks later, I’d go straight back to my old ways. Each time made me feel more and more exhausted, depressed and out of shape, as I beat myself up for not having the willpower to make it work. And even though I was trying so hard to be healthier, the reality was that I was getting sicker. 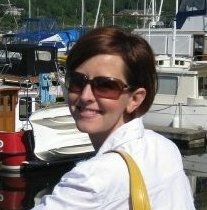 I had chronic fatigue syndrome, fibromyalgia, rosacea, chronic cystitis, candida, and IBS… all before I was 30! I didn’t want to take meds, so I tried holistic therapies… and one day my acupuncturist suggested a 10-day detox. It was one of those godawful ones with the powders that tasted like mud… so I didn’t make it past Day 3. But something clicked in my brain, and I knew I needed to find out more. I did a ton of research, got certified in holistic nutrition and studied detoxification with experts in the field. I developed my own detox programs that I based on anti-inflammatory foods (fruits, veggies, and dark leafy greens), and started limiting inflammatory foods (dairy, gluten, caffeine, alcohol and processed sugar). I know my detoxes work because I’ve successfully used them myself – and so have thousands of other women. Remember… Fall Renewal is so much more than getting a flat belly or dropping weight. It’s a way to connect with that gorgeous body of yours. It’s a way to get more balance within your body, with the season, and ultimately with others. This is why I created the Fall Renewal 10 Day Detox, and I’m so excited to share it with you. In just 10 days, you will feel lighter, energized, and you will glow inside and out. You’ll feel better about yourself, confident in your clothes as well as feeling good from the inside out. The best part is that we can do it together. I’ve detoxed with thousands of people, and I’d love to share this experience with you. I can’t wait to have you in my program!